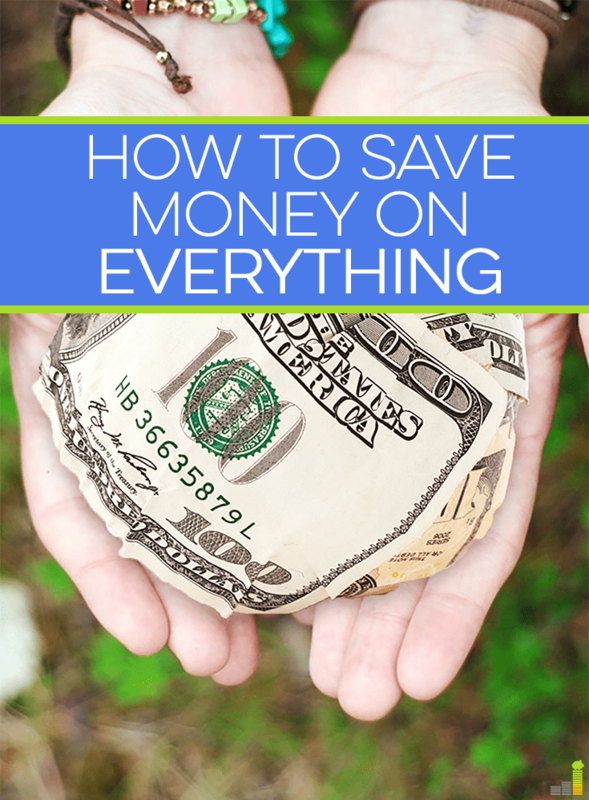 As we work on paying down our debt, my husband and I have are learning how to save money on nearly everything we buy. We’ve become pros at squeezing a nickel out of a penny, so to speak. Saving money, even on the smallest of expenses, is second nature to us now, and so I thought I’d share a bit about how we’ve learned to save money on everything. We have saved thousands of dollars in the last year and a half by simply learning how to do things ourselves. The Internet is an amazing resource for learning just about anything you could possibly want to know, and by taking advantage of it, you really can save money on everything. Rick has learned how to do several car repairs, home repairs and other maintenance things we would’ve normally needed to hire out for by searching for how-to videos on You Tube. And don’t underestimate what can be learned online. For instance, our son, who’s eight now, has always struggled with saying his R’s. They came out like W’s. I was cringing at the thought of paying a speech therapist to help him with this problem, not to mention the gas we’d spend driving from the boonies to the cities a few times a week. So I found a You Tube video that teaches people how to say their R’s correctly. We worked with Sam for a few weeks to help him get the sound formation down right, we practice with him a ton, and now he’s finally got his R’s down, and it didn’t cost us anything but time and the willingness to do the work. This goes for everything from growing your own food, to repairing your own stuff, to learning what you want to learn, be it a new language or whatever. Don’t assume you can’t do something yourself until you’ve really researched the options out there, because DIY options alone can save double digit percentages off your expenses each month. I’m a firm believer in quality over quantity, but if you want to save money on everything, you just have to realize that not everything has to be top of the line. Rick loves his Sam’s Club Colombian Supremo coffee just as much as he loves the Starbucks stuff, and we buy lots in the way of generic or off-brand foods and toiletries if the quality is up there near the spendy stuff or if we can deal with the lesser quality. Need to remodel or replace something in your home? Consider linoleum instead of ceramic tile, pine instead of cherry wood, or Formica instead of granite counter tops. Although it’s important to make sure you’re not buying poor quality items simply in the name of saving money, there is a middle ground here. For instance, one of the things we’ll need to do here soon is to replace a broken down retaining wall. We found some cheap retaining wall blocks that, if Rick does the job himself, will allow us to replace this wall for about $1500. However, if he uses treated wood beams instead of the retaining wall blocks, we’ll spend about half that amount. The treated wood wall would last us 10 years instead of 20, but for us, it’s worth it, given our main financial goal right now is to get out of debt. When doing a project, saving money on everything means researching your options thoroughly to see if you can pick the cheaper material, whether it be paint or anything else, instead of the more expensive one. When we are in a situation where we need to pay someone to do a job, we never hesitate to negotiate. Whether it’s a discount on a damaged item at Walmart, or a lower price on a repair job, we always (politely) as if it can be done for less. When this is done with tact, people are often willing to give a “nice-guy,” a damaged merchandise or a big purchase discount. When working with home repairs, offer to do some of the work yourself. When paying for services, offer a barter option. For instance, my brother is a mechanic, so when there’s a car repair issue that Rick can’t do himself, we’ll often make a deal with my brother. I love to bake, and he loves to eat, so well say “Hey, will you come over and look at my car and I’ll pay you a pineapple upside-down cake?” This is a terrific deal in my brother’s eyes, and a huge money saver for us, so it’s a win-win. The trick, however, to successfully asking for discounts, is to make sure it’s an appealing deal to both parties. If you come off as cheap, you’ll ruin your chances of getting a discount, so make sure what you’re proposing is beneficial to both parties. By getting creative, you really can save money on everything. Well, almost everything. Try using the tips above to see how much extra money you can save this month. Get into a mindset where you’re always looking to pay less, and you’ll soon have the creativity necessary to save money nearly everywhere you go. What are some creative ways you’ve learned to save money? What’s the biggest discount you’ve received simply because you took a chance and asked nicely? 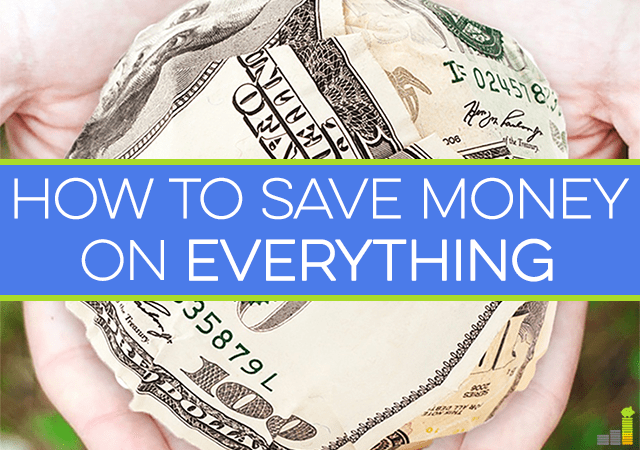 How do you save money on everything? I think it’s terrific that you guys are working on this, Amy. You should keep a spreadsheet of how much you save each month by following the above tips. I always look for cheaper options, especially on the expensive things. Like you said, the key is to make sure you don’t go too cheap where the quality is awful! It’s great that you found a video for your son – the internet is full of things we never expect to find. It doesn’t hurt to look! I know – I am continually amazed at what you can find for instructions on the Internet. It’s amazing! Great point, Kathy. This is why I mentioned how important it is to make sure the deal is fair in the eyes of all involved. In my brother’s case, we would pay him actual cash to repair the car, but he finds it quite the deal to get a homemade cake just for looking at it. 🙂 Yeah, there are IRS rules for bartering, but we only usually barter for little stuff with family. Anything else we’d follow IRS rules, but I think the main thing about the fairness in bartering is to make sure that both parties involved think the agreement is fair. Check out your local Habitat for Humanity ReStore for building supplies. They can be hit or miss, but if you hit, you can save tons of money AND contribute to a worthwhile cause. I second the ReStore idea. It can be hit or miss, but you can save a chunk of cash if you find something good. Our dishwasher is from there actually. It cost us $40 I believe and works like a charm. Wow, John – that’s a heck of a deal!! We have saved thousands of dollar by doing DIY projects, from building a fence to staining our screened-in-patio. People were amazed that we could do these things, but all it took was a little know how and a lot of hard work! We have become adept at going for the cheaper option, and even living with the cheaper option (like laminate counters) knowing that someday we will make a change. But I need to work on my negotiating skills! You really can save money on everything, you just have to put thought and effort into it. 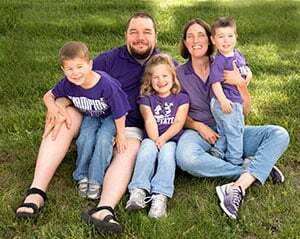 We are big DIY people and use YouTube to help us, but I would NEVER think to use it for something like speech therapy for my son, that is awesome!! So true about the internet, and youtube in particular- it’s such an incredible resource for info. I love that people have made videos for just about anything. That’s so great that you found one to help your son! I wish I was more like you Laurie! I’m the LEAST handy person on the planet. Luckily I do have some handy friends, but I can’t always get their help. One area I can improve (even though begrudgingly) is cooking…and cooking with ingredients that are cheaper than the ones I’m buying. I just tend to stick with the same stuff regardless if it’s on sale. This is the world’s most geeky answer to your question. There was a (gasp) board game that I really wanted but didn’t want to pay the price the guy at the geek-flea market was asking, so I offered three quarters of the price. The game was out of print and I was pretty sure he’d say no since lots of people would easily pay the price he was asking. He said “Sure” without batting an eye. Lesson learned. Wow – that’s amazing, Joe!!! And all because you asked on a whim!!! We stopped on a whim at Target yesterday, because I had bought some clothes for Maddie last week, and wanted to see if anything I bought was on sale. Sure enough, we got a $10 refund because the shorts were on sale. It took us 10 minutes. I told my daughter “We just earned at a rate of $60 an hour, just for asking.” Another great lesson learned. Oh I’m a haggler. I always ask for discounts. Also, my phone feel two days ago and the screen cracked. I called a repair store and they said it would be $125 to repair it. I said “no thank you.” Looked on youtube to see how it’s done, found a few videos and it looks very doable. Already ordered the screen on Amazon and I’m waiting for it to arrive. I’ll give it a shot myself and if it works, I would save myself $75 (the screen was $50). From the videos I’ve watched it looks as if it is a 20-30 minute job. The repair man was technically going to charge me $150 an hour. Like I said, No, Thank You. Great tips…I need to do more of #1…I’m not too handy but I want to learn. I kind of think cooking is DIY…rather than paying for someone to make my food, I cook it myself. And I was able to learn to do that so hopefully I can learn more skills. I almost always buy the generic brands and rarely can tell the difference. I actually really like Target’s Up and Up or Market Pantry generic brands. And asking for discounts is a must…it doesn’t hurt to ask…and if you don’t ask for it, you won’t get it. Cooking is totally DIY friendly!!! I think it’s one of the places most families here in America waste a ton of cash – you just don’t see that so often in other countries and it’s normal to cook at home. Agree too, with “If you don’t ask for it, you won’t get it.” Asking only takes a second, and can earn you some huge cash. Your are right on Laurie, if you want to save, you can definitely find a way. I am really impressed that you were able to help your son with his speech just with resources you already had access to. That is really impressive! We also try to trade services when we can. My brother in law is an IT guy and helped us after I accidently downloaded a nasty virus. He erased the whole thing for free. We had them over for a BBQ lunch as a thank you. Liz, this is exactly what I’m talking about. With a little forethought and ingenuity, we can find ways to do things cheaper, just as you did with your BIL. I’ll bet that BBQ was well worth the time he spent helping you. Not only was there a great meal involved, but precious time with family as well. I agree that if you want to save money you don’t have to go with the best of the best. You can easily substitute materials when renovating like you mentioned or buy no-name products. Asking for discounts is a great way to save as well. We did that when we bought our flooring for the house and you know what? They said yes!! Well I have to admit that I don’t typically ask for a discount. In fact, I can’t remember the last time I just ASKED a company to give me a discount. I should give it a try sometime. DIY is good if you have the time. If you could be making more money by spending that time elsewhere, though, you may be losing money. I think the value of DIY will vary from person-to-person and situation-to-situation. Great point about DIY and having the ability to make more elsewhere, DC. If you make $50 an hour at work or side hustling, spending $25 an hour to have someone else fix your car, repair your home, or whatever, is indeed the way to save more money. Thanks for that important piece of info! I think it’s amazing how many discounts you can get if you just ask. Everything is on sale if you’re willing to look hard enough. You can learn how to fix so many things just by watching YouTube. 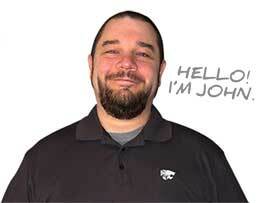 I’ve replaced faucets, fixed TVs, changed electrical outlets, and more. While I still use a pro for big projects, doing the smaller things DIY saves me a ton of money. Rick does that often, Jon, and it’s saved us thousands of dollars. He even learned how to fix our garage heater last winter. For $50 and a Youtube video, he fixed what would’ve cost hundreds to have repaired by a pro, and thousands to replace. I don’t ask for nearly enough discounts but I do try to DIY almost everything. For our wedding, I have DIYed so much and have learned some awesome lessons about graphic design as a result. It’s actually pushed me to start my own Etsy shop with some of the crafts I’ve done. It’s saved us a ton of money, too. I’ve tried a few supermarket brands and most are just as good. So it’s just a matter of trying it out. Who knows what you might find and save money at the same time. I love YouTube. You can find anything there. Yeah, the generic/supermarket brands on most things are perfectly acceptable. In some cases, we’ve even found them to be better than name brand. Those are some great tips. I think that I’m the king of asking for discounts. LOL, that’s funny, Jason!! But you know what? You’re a wise man. I’ll bet you’ve saved a good chunk of change by simply asking. Great post Laurie! My family is always looking for ways to be frugal where we can as well. Your post provided some great tips and some reminders of things we can be doing to spend less and save more. One of the things we do a lot of is buying good quality used items at garage sales. We run a side hustle resale business doing this, so I’m out at garage sales almost every weekend. The beauty of this is that we kill two birds with one stone. We buy stuff for resale to help us save more money (we paid off our debt a couple years ago), and we also keep a running list of things we want to buy and we pick it up when we find it for a good deal at a yard sale. If you go to yard sales in upscale neighborhoods you can often find great quality items for next to nothing. I just wanted to add that in case anyone could benefit. Thanks again for a great post!